It’s time for a digital signature! 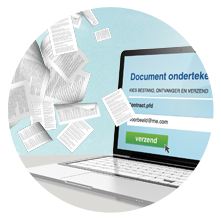 You upload your document to Firmare.it, select the addressee(s) and optionally add an extra verification method (e.g. iDIN, iDEAL or SMS TAN code). The signatory receives the signing request, clicks on the link to view the document and then places his digital signature using a mobile phone, tablet or computer. Firmare.it records the entire process on a transaction receipt, providing you directly with all of the required evidential value for a legally binding transaction. 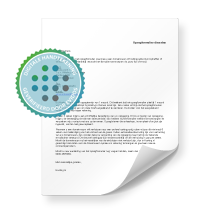 A digital signature means that there are no unnecessary costs related to the use of paper, administrative handling and sending documents by post. Signing a paper document will often cost more than three euros. With a digital signature you can save costs immediately. Service is important to Firmare.it. Our help desk offers you personal assistance. Not only during the process of implementing digital signatures within your organization, but also in the preparatory and follow-up stages. Firmare.it is considered to be very user-friendly by both users and signatories. If necessary, we’ll get you started with instructional videos and live demos. Firmare.it is the cloud-based signing service offered by Evidos. Evidos is a market leader in providing digital signing and identity verification solutions and has been the prime cloud platform for digital evidence for over 10 years. ✓ Strong verification options (including SMS, DigiD and iDIN). Schedule a free demo and we’ll show you how Firmare.it can help your company.